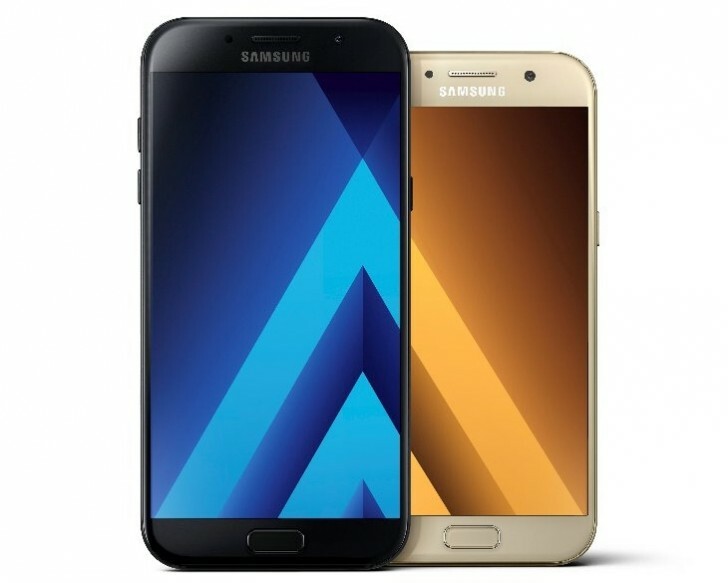 Last month, Samsung announced its plans to launch upgraded Galaxy A Series which included Samsung Galaxy A5 (2017) and Galaxy A7 (2017). Now it looks like the company is going to fulfill their commitment by launching these handsets in the Indian market. According to PriceBaba, Samsung will launch Samsung Galaxy A5 and A7 2017 edition in next few weeks. It is obvious that these devices will be an improved version of its predecessors launched in December 2015. After launching the 2016 series which included Samsung Galaxy A3, Galaxy A5, and Galaxy A7 models, Samsung didn’t put much effort in the mid-range segment. But still brand has maintained its reputation in mid-range smartphones. But with the rise of Xiaomi and Lenovo as rivals, Samsung has to put more efforts instead of launching upgraded versions of last year devices. A few days back we have also shared the details of another sequel named Samsung Galaxy J7 2017, waiting to be launched by the brand at MWC 2017. Till now, we don’t have the pricing and availability information of Samsung Galaxy A5 (2017) and Galaxy A7 (2017) but stay subscribed and we will keep you updated.